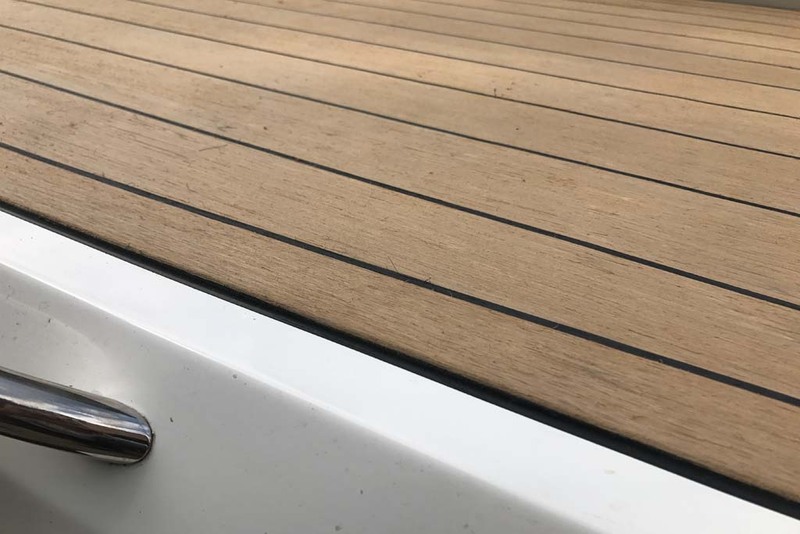 With years of experience of new and used boat sales, we have a wealth of knowledge when it comes to teak – real or synthetic on our boats. 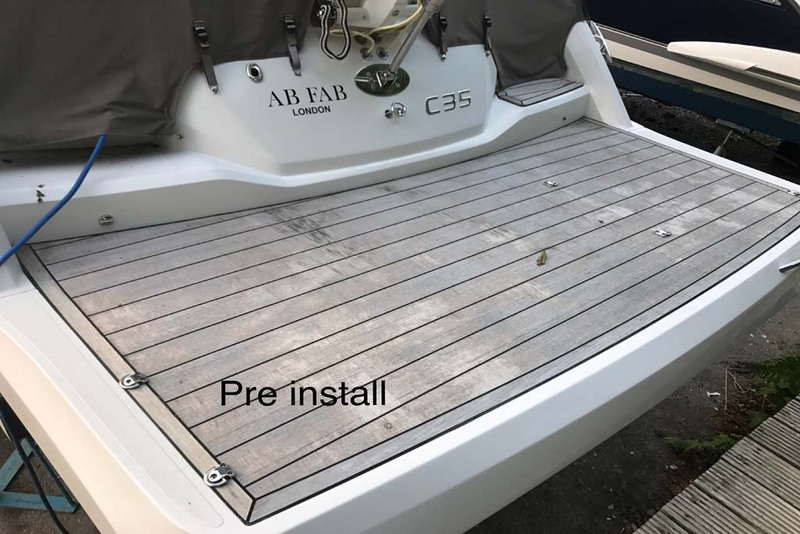 We can fit it on-site, or send a contractor to you. 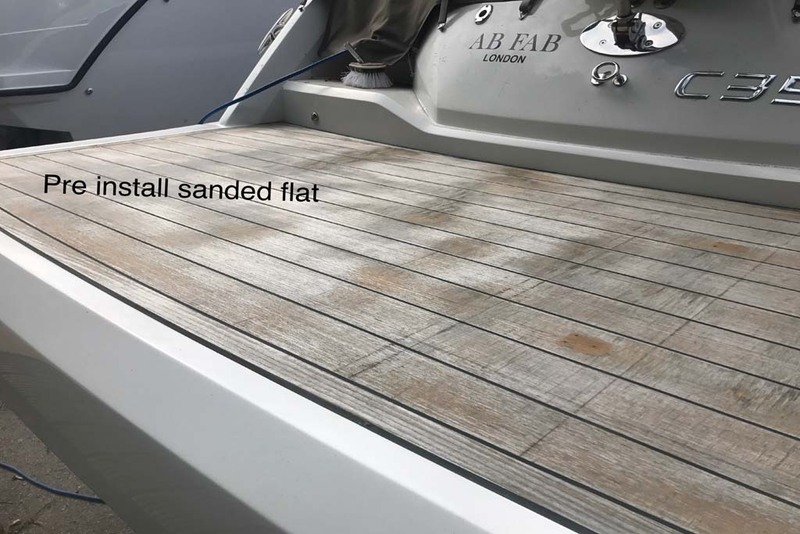 Below you can see a Sessa C35 which had real teak fitted from factory but had seen better times. 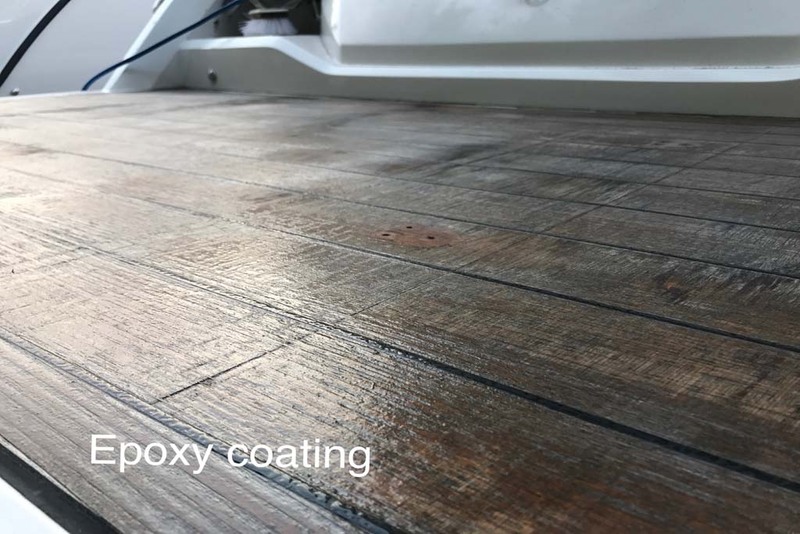 We have the products and skills available to either sand it back, clean, brighten and oil, or, to retro fit synthetic teak for a low maintenance hassle free luxurious finish. 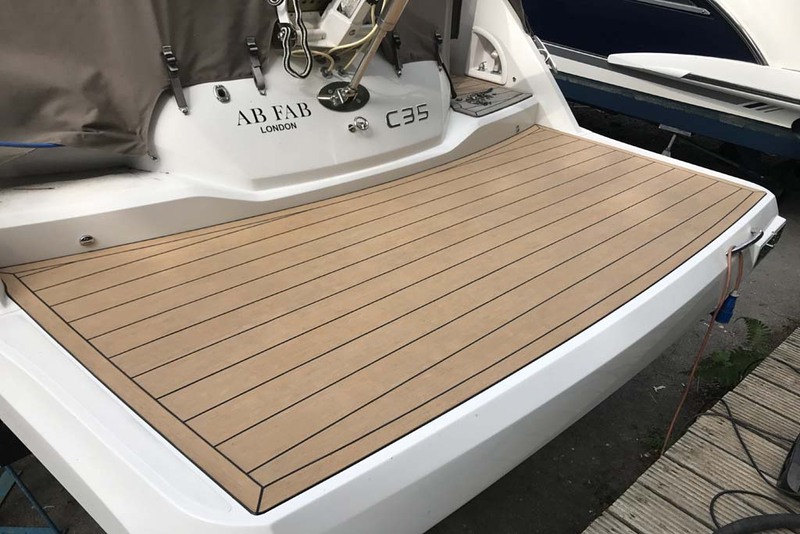 Available in a number of colours (teak and caulking), please contact us for further information or a quote.